Hi, this is the third newsletter of the EU PiG project. It provides news of the eight winning best practices in the 2017 EU PiG Grand Prix competition. In addition, it highlights some of the other best practices shared by producers, to address the challenge of promoting a sustainable pig industry across the EU. I hope the information is again of interest and useful, but you are also welcome to consider and contribute to the discussion group on Linked-In, and comment through the EU PiG Twitter page. click here to see more information on all these winning Best Practices and the benefits involved on the EU PiG website. Additional detail will be added to the EU PiG website Best Practice page in due course, and meantime producers can contact their local Regional Pig Innovation Group (RPIG) leaders for more details on the best practices and other innovators in their region. Visit here for the RPIG contact details. The herd uses a water purification system, (DCW), which ensures clean water and impairs the formation of biofilm in water pipes. The result is improved pig health and productivity and, in turn, lower costs. The component is a disinfectant that is biodegradable and approved for drinking water for production animals. Systematic routine weighing is used to choose the right feed mix, as well as routinely monitoring pig productivity. Pigs in the entire pen are weighed on a weekly basis, and data is typed into a system to monitor weight gain. The farmer’s pork is marketed under the ‘Heart Pig’ welfare brand, having put in place the specific management practices required. An EN-Z-EMA and Strat-E-Ger study looked at how fattening of uncastrated male piglets can work in practice, and found a way to reduce boar taint via the breeding programme, through selection of terminal line boars. It is estimated that around 80% of male piglets in Spain are produced without castration. This enables them to take advantage of the better efficiency of producing entire males, and to produce meat with a lower fat content. At the same time, they avoid the practice of castration, and preserve high welfare standards. Tail docking is banned in Finland, so this unit rears its 2,980 finisher pigs with intact tails, and uses a number of practical measures to ensure they comply with legislation, and maintain both welfare and productivity. A 300-sow, farrow-to-finish unit that produces its own feed. It was the first to use an innovative Biosecurity Scoring Tool (Biocheck.UGent) to review biosecurity and help identify areas they needed to improve. The ultimate aim is for improvements in biosecurity to translate into better pig health and performance, along with lower costs. A Dutch farmer and his team has used biosecurity to reduce use of antibiotics to a very low level in order to reduce health risks in the herd, and take a proactive approach to reducing the use of antibiotics, which has become a huge priority for veterinary and human medicine. A comprehensive report on the conference and the issues discussed is now available on the Teagasc website, and can be downloaded from here. The event presentations were also videoed, and they will be uploaded to the Teagasc website soon. Why precision livestock farming takes its time with pigs..
Did you know that finisher pigs in a barn can walk up to 4 km per day? And did you know that finisher pigs sometimes form couples while eating? Vincent ter Beek, the Editor of Pig Progress attended a conference in Nantes in Sept, and in his article comments on the approaches adopted by researchers, whether choosing to focus on aspects of group behaviour, or to follow individual animals. In concluding that precision livestock farming (PLF) offers great opportunities and possibilities to farmers, there are some reasons offered why take up by the market is lower than many would have hoped. Newborn piglets are poorly equipped to keep warm immediately after birth and as the energy reserves to produce body heat (glycogen stored in the liver) are limited, a combination of factors means that piglets often become chilled. 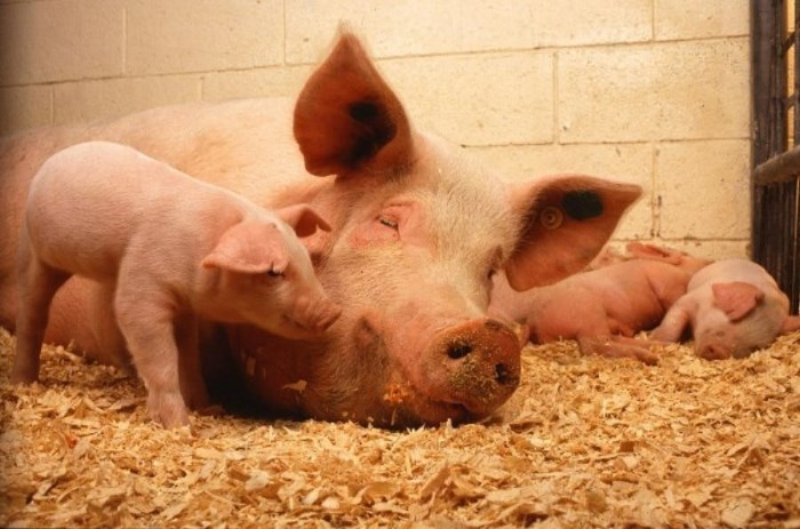 Piglets are also born with no immunity, and can only get this from colostrum soon after birth. Colostrum is critical for development of the piglets’ own immune system is only available in quantity for about 12 hrs, and after 20 hrs the sow will be producing milk not colostrum. A minimum of 100 ml of colostrum per kilogram of birthweight within the first 16 hours is crucial to provide the energy, nutrients and antibodies needed for survival. Cross fostering can risk litter biosecurity, colostrum deprivation and social exclusion that can result in a growth check. The newsletter provides a range of practical advice and guidance that has been learned from over 10 years experience since transitioning to a three-week batch farrowing system, and includes some of the pit-falls to be avoided. There is a report on the findings from the 7th International conference on the assessment of farm animal welfare (WAFL) 2017, held in The Netherlands, which is the only conference dedicated to farm animal welfare. There was a focus on linking animal welfare to indicators of sustainability, on the role of animal welfare in society, on refining and improving the ways in which welfare on farms is measured. It also considered how to achieve a better understanding of the perceptions and attitudes of all stakeholders, including producers and citizens, about animal welfare. The report includes contributions from Wageningen Univ., Austria, Israel, Denmark, and the UK. Another article provides background to an experiment to study the impact of giving a variety of enrichment materials to piglets during lactation, as a way of reducing biting behaviour for piglets. EIP-AGRI has published the fourth edition of its Agrinnovation magazine, giving a round-up of EIP-AGRI news, events and stories from the past year. This includes a section on page 15 about Thematic networks, who collect, share and exchange knowledge and best practices, with EU PiG being one of the 17 now up and running.